On Saturday morning April 12, Ryan Malone, Tampa Bay Lightning forward, was arrested on suspicion of driving under the influence. In the process of his arrest, police discovered cocaine in Malone’s pants pocket, according to a recent article at USA Today. At approximately 3 a.m., Tampa police witnessed a Chevrolet Suburban make a left-hand turn from South Armenia Avenue onto Platt Street. Malone allegedly made the left-hand turn from the center lane, then proceeded to hit a curb in the Suburban. Police pulled Malone over, and determined that he was driving while intoxicated. The Tampa Bay forward refused to submit to a field sobriety test, but did submit to a breath test after being taken into custody. News reports indicate his BAC (blood alcohol content) was .112 and .116, higher than the state’s legal limit of 0.08. Malone’s vehicle was impounded following the arrest; he was released from jail on a $2,500 bond, although it is not known whether he had secured an attorney. 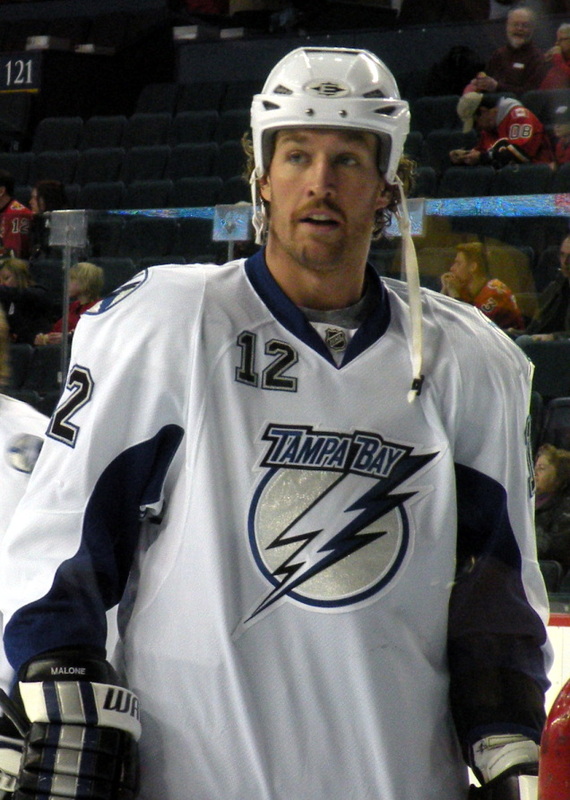 Ryan Malone has played for the Tampa Bay Lightning’s for nearly six years, since 2008. He was the recipient of the silver medal at the Vancouver 2010 Winter Olympics after participating on the U.S. men’s hockey team. In a statement released by the Lightning team, general manager Steve Yzerman said that while they were aware of the situation with Malone, no comment on his future with the team could be made. Yzerman said only that Malone would not travel with the team to Washington on Saturday. Michigan DUI defense lawyers know the damaging impact being arrested for driving under the influence can have not only on an individual’s freedom and reputation, but career as well in some cases. While the more serious charge for Malone is likely cocaine possession, DUI is still a very serious offense and one that is punished harshly in most states. In Michigan, an individual’s first DUI offense can leave that person facing up to 93 days in jail, hundreds of dollars in fines, community service, driver’s license suspension, and more. A criminal record will likely impact employment opportunities and other aspects of the individual’s life if convicted. Anyone who is arrested for driving under the influence should obtain the legal guidance and support of a skilled defense attorney. It is vital that you take action to protect your legal rights and freedom.